The Four Points By Sheratopn Sheikh Zahed Road is the place to be. Plan a meeting in any of the five meeting rooms fully equipped with state-of-the-art audiovisual facilities. Or catch up on work in our business center which offers printing, faxing, and other secretarial services. Enjoy home cooked meals in our five dining outlets or unwind and relax with your favorite beverage in the rooftop pool bar and terrace. 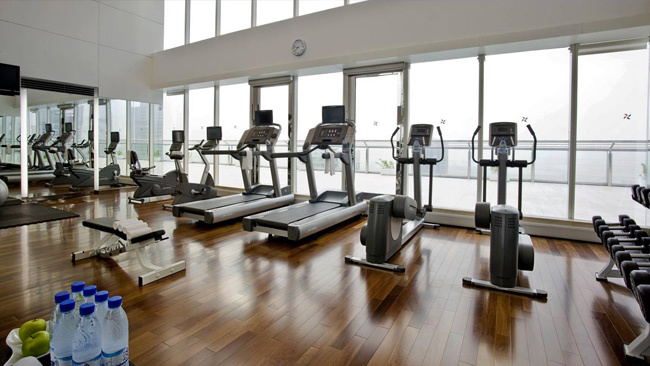 Freshen up with a dip in our swimming pool after a great workout in the fully equipped gymnasium. 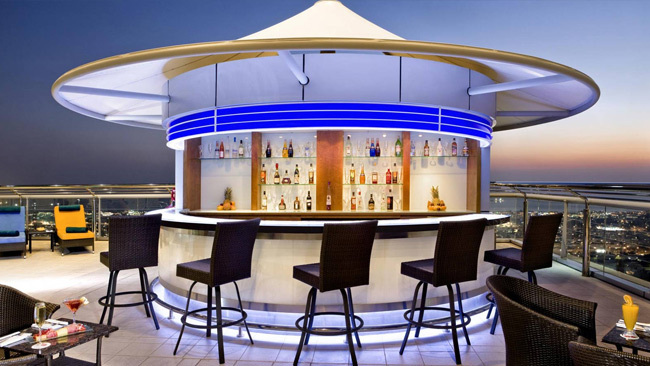 Located on the 43rd floor, it also features a viewing deck which allows you to enjoy panoramic views of Dubai’s skyline and Jumeirah coastline. 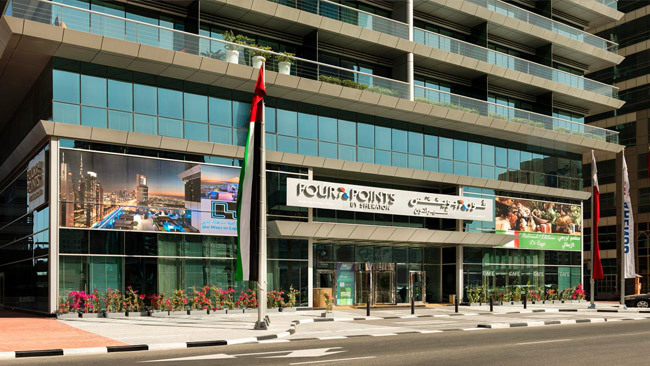 Welcome to the Four Points by Sheraton Sheikh Zayed Road, Dubai. 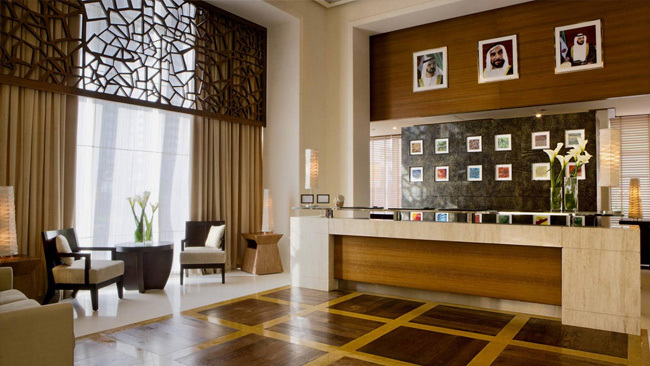 Strategically located on the prominent Sheikh Zayed Road, the hotel is easily accessible to the Financial Center metro station, Dubai International Financial Centre (DIFC), Dubai International Convention and Exhibition Center (DICC), Dubai World Trade Center and the newly opened and largest mall in the Middle East – Dubai Mall which is just few minutes drive away. Non Refundable Prices are per person sharing, unless otherwise specified. All prices are indicative and correct at time of loading onto the Thompsons website and are subject to change due to currency fluctuations, rate increases, airfare increases and availability. For standard terms and conditions refer to www.thompsons.co.za E&OE.